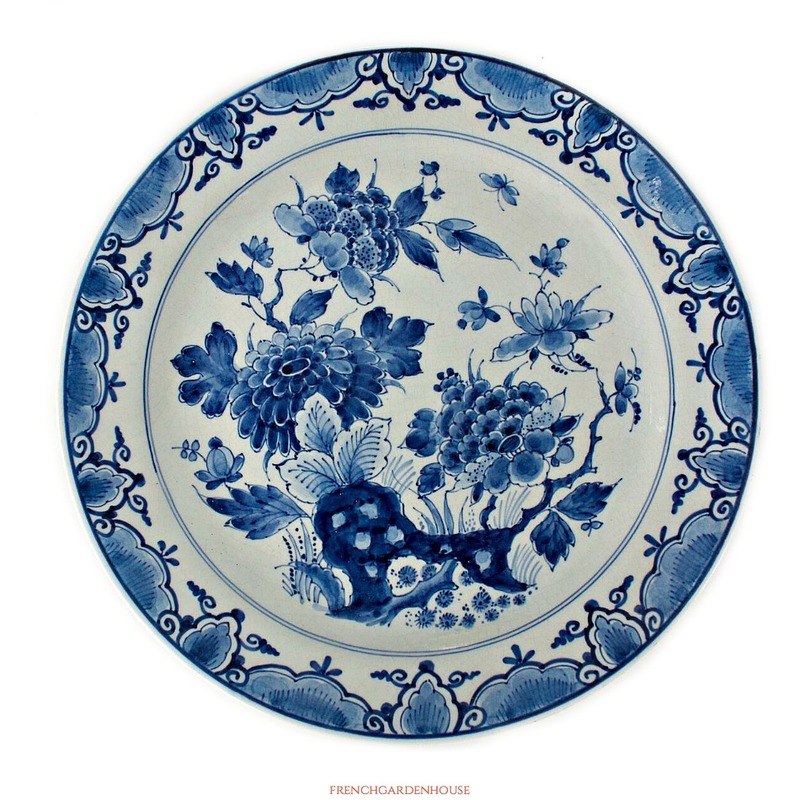 Exquisite Blue and White Hand Painted Display Plate made by De Porceleyne Fles, The Royal Dutch Delftware Manufactory, which was established in 1653, and is the last remaining Delftware factory from the 17th century, still producing entirely handmade Delftware. 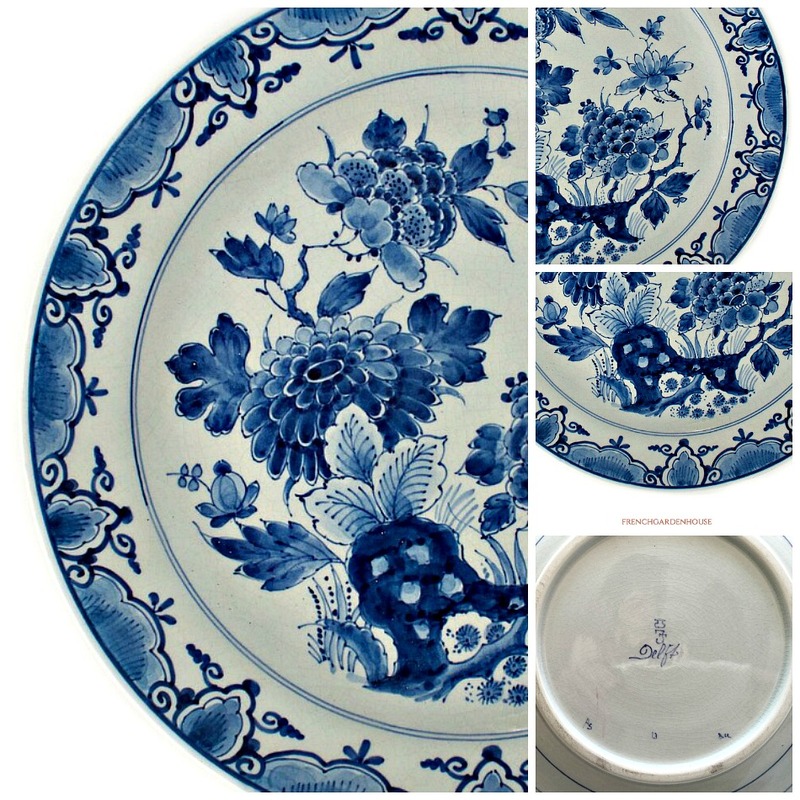 This Delft Blue pattern is inspired by Chinese porcelain. The special character of Delft Blue earthenware was produced by their unique, secret tin glaze, giving each hand made piece its gloss and brilliance. 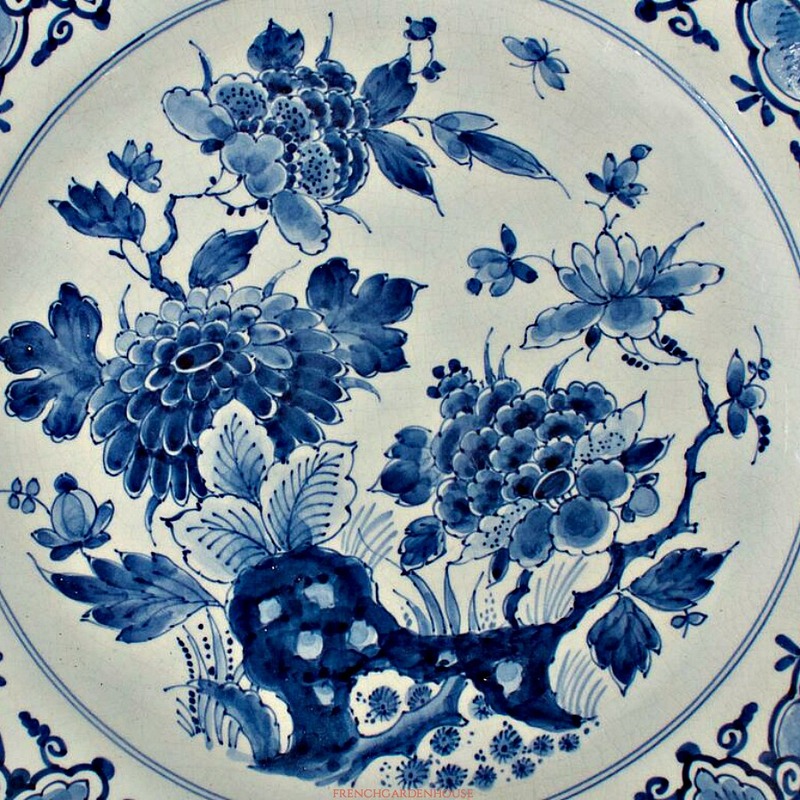 Like the French majolica and country faience pottery, Delft Blue is avidly collected, each antique and vintage piece is a true luxurious treasure. 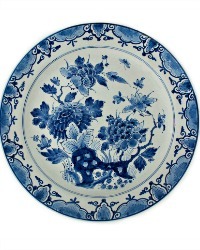 Display this with your antique Chinese Porcelains, your Flow Blue, and your other Blue & White decorative antique plates.